As we get older, our balance becomes less stable. Simply walking a straight line on a flat surface can be challenging. Fortunately, you can improve your balance with exercises specifically geared to helping you become more stable. In fact, walking a straight line is just such an exercise! None of these exercises take long or require special equipment, but they do create positive results. 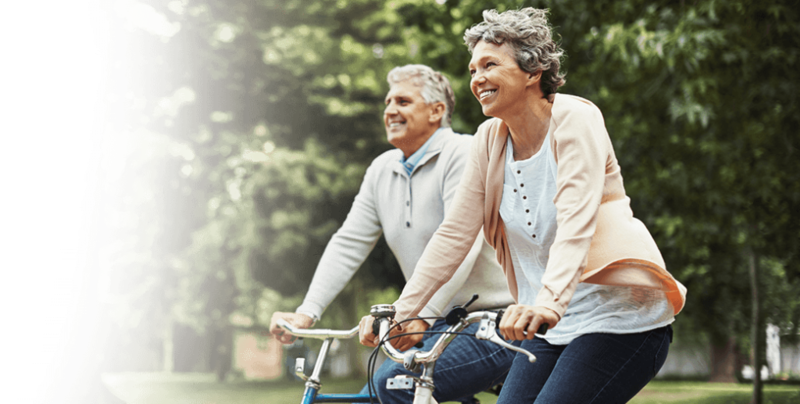 To stay healthy and make the most of the activities available at your Central FL retirement community, try some of these simple moves to improve your balance and stability. When you’re doing any balance exercise, you should have a chair or counter or some other surface to hold on to to prevent an accident if you do lose your balance. For example, with the side leg raise, hold on to a chair and then gently raise a leg out to the side, going as high as you can without causing undue strain. Do a set of ten lifts on each leg. A similar exercise involves holding onto the chair and simply raising one foot off the ground and holding your balance for as long as you can, usually in sets of three with each leg. As you improve your balance and don’t need to hold onto the chair as tightly, you can try letting go of the chair, although you should always have it available, should you start to lose your balance. A simple exercise to work into your daily life is marching, with your knees high, throughout your home. Going from the living room to the kitchen for a drink? March! You can also set some music to play — a march would be ideal — and march through your home to get a solid workout that also provides some cardio exercise as well as help with balance. If you have a long, open wall area or a long kitchen counter, try walking heel to toe. You can even tape a line to walk to help. Be sure to stand straight and look forward, but keep the wall or counter within reach should you start to lose your balance. For added practice, think back to those posture exercises as a kid and walk with a book balanced on your head! Put television commercial breaks to good use by simply standing up and then sitting back down again, keeping your back straight and trying not to use your hands. Repeat in increments of ten, increasing the sets as you get stronger. Those commercials will fly by! Living in a Central FL retirement community like Lake Ashton provides plenty of ways to stay healthy and strong, thanks to the swimming pools, fitness center, and exercise classes. Even just going for a walk along the walking trails every day with your friends is a great way to improve your balance and increase your strength. Plus, if there are any dances being held at the community’s Grand Ballroom, make sure you get those feet moving, because dancing is great for balance, cardio, and most of all, having fun!